Husband and wife team Matthew and Wendy Jamieson opened Forage restaurant in the fall of 2012 after a 6 year stint in Victoria, B.C. They worked together as the Executive chefs at the Royal Victoria Yacht Club. After having 2 beautiful children they decided to move back to the Orangeville area to be closer to family and friends. Together Matthew and Wendy bring over 60 years of experience to the table. At Forage they offer casual gourmet dining, take out and catering made with quality ingredients. Focusing on local and organic whenever possible Matthew and Wendy cater to gluten free, vegetarian/vegan and any other food allergy requests. 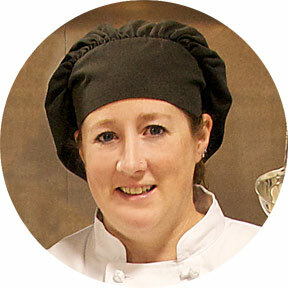 Wendy has a Bachelor of Commerce degree in Hotel and Food Administration from the University of Guelph and also attended Le Cordon Bleu Culinary arts institute in Ottawa studying Pastry and Cusine. 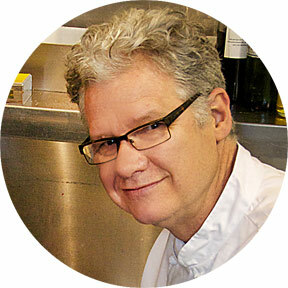 ﻿﻿Matthew trained at La Varenne cooking school in Paris, France and went on to open several restaurants including Mad Apples in Toronto and The Woodside Restaurant in the Hockley Valley.